« Interview with a Canadian girl dreaming about being a K-pop star. 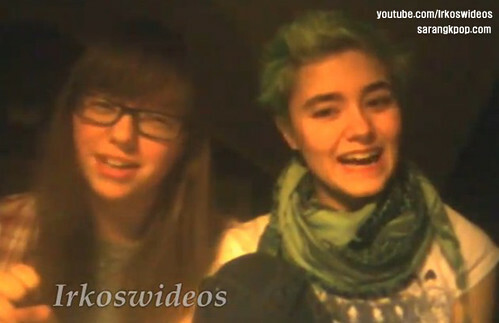 Two Swedish girls about reaction videos and K-pop in Sweden. We happen to see people’s priceless reactions in everyday life. How about reactions to K-pop? Our thoughts reached to the point and we tried to find cute and funny K-pop reaction videos on Youtube. And this was the one we found and we really enjoyed. Sarangkpop contacted the owners of the video clip and had an interview with them. You may also get a bit of information on how Kpop is going in Sweden as well. 2. please introduce yourselves shortly. My name is Shawnee. I’m 18 years old and I live in Jättendal, Sweden. I’m currently not attending any school, but am waiting to start studying Italian from my home. 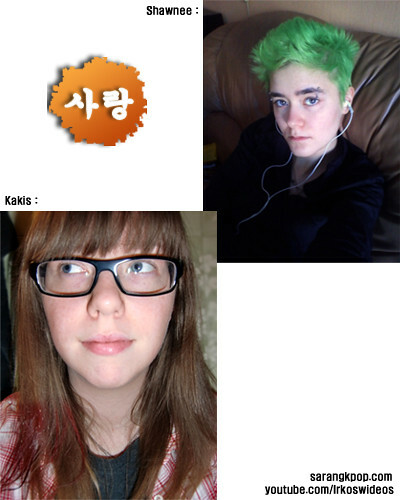 And I’m Kakis, also 18 but Shawnee’s unnie~ I attend art school in Sundsvall, Sweden, which is also my hometown. 3. when and how did you start listening to k-pop? Kakis: I made some new friends in 8th grade (5 years ago) who introduced me to Super Junior. That was how I discovered k-pop. On my birthday a year later my friends gave me a mixed CD of Korean songs that intrigued me. I soon began exploring K-pop on my own and discovered new groups. I never found the language barrier to be a problem, and was captured by the good quality of the songs. Shawnee: Well, simply put, I was infected with the k-pop virus by Kakis. That was about 2 years ago, when we attended the same school. SNSD had just released “Gee”, and Kakis used to play it in our shared room at school a lot. It wasn’t hard to become addicted, even though I had a problem with the language barrier at first. I didn’t have an open mind, but I got over it after hearing SNSD for a long enough time. 4. whose idea was it to make reaction videos? This was mostly Kakis’ idea, but we were both very intrigued after watching other people doing it. We were pretty confident about it since we knew our reactions were… pretty spazzy. Why not capture it? The process of recording, uploading and seeing other people’s responses is a lot of fun. Seeing it as we’re best friends and have been for a while, we knew the other person wouldn’t judge us for our craziness too, which was a plus. It made it easier. 5. do you watch Korean dramas? If so, what is your favorite Korean drama? Shawnee is soon going to be introduced, by Kakis of course. Kakis already watches a lot… For example: Full House, You Are My Destiny, A Millionaire’s First Love, Super Junior mini dramas (Shawnee has actually seen these too hoho) and she (Kakis) is currently watching Coffee House & Dream High. 6. in your opinion, what made K-pop different from other pop music? Just about… everything. The whole Korean music scene is a lot different from what we’re used to. In Sweden we have nothing like comebacks, concepts, teasers or music shows like MCountdown, Music Bank, Music Core and Inkigayo. There’s close to no hype when somebody’s coming back to release an album or a single, and pretty much the only music charts we get to know of are in magazines or on the radio. We also have no official fan clubs for idols, and no merchandise stores like SPAO. In our ears, Asian music is of better quality, too. We think that other music we hear, not just Swedish, isn’t as cleverly written or catchy, and since there are no concepts, it just isn’t as interesting. Something else that we find interesting about Korean songs is the dance. In Sweden, most songs, even if they’re dance songs, they have no special choreography. Again, it just makes it less interesting. 7. your favorite kpop stars? SNSD. That’s the big one. Other than that, Super Junior, f(x), SHINee, DBSK (both them and JYJ), 2PM, 2AM, T-Ara, Kara, Miss A, B2ST, C.N.Blue, Rain & Big Bang. 8. how is K-pop going in your country?